In Singapore, it’s not uncommon to find colorful structures (houses, stores, restaurants, etc.) lined up on the street. While Little India’s colorful establishments are majority’s favorite background subjects for their Instagram poses, there’s the often overlooked Joo Chiat Road, which is also home to vibrant shophouses. Joo Chiat Road is a residential conservation area in the eastern part of Singapore. While most tourists skip it in their SG itinerary, it’s worth visiting for its heritage shophouses and quaint stores and a glimpse into the Peranakan culture. If the ‘gram is your concern, Joo Chiat’s pastel-colored stores will easily liven up your Instagram feed. Shopping for unique items is a must here, too. Love Harry Potter? 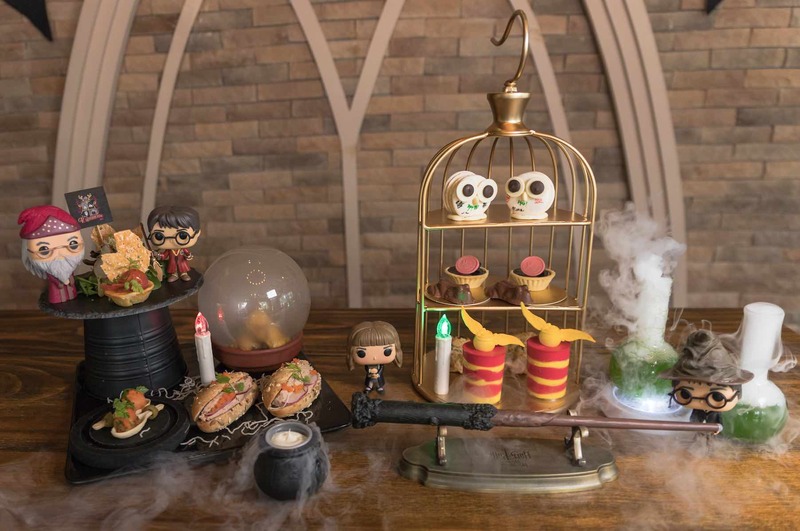 Singapore’s Platform 1094, a “magic-inspired” cafe, offers you an experience similar to that in the Wizarding World of Harry Potter. 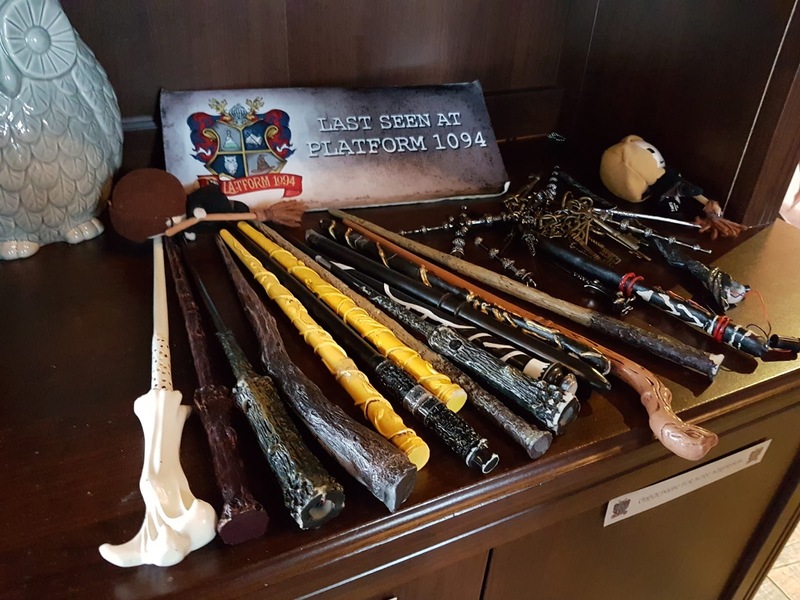 While it’s technically not Harry Potter-inspired because you won’t find Harry Potter merchandise there, Platform 1094 has a touch of magic and bits of Harry Potter references. The cafe’s wooden menu boards feature Harry Potter’s trademark lightning font. You’ll also find a witch’s hat and various magic wands here for photo purposes. But Platform 1094’s unique “attraction” that Potterheads will undoubtedly love is the Goblet of Fire which is literally an enchanting concoction as it lights up like magic right in front of your eyes! Priced at $15, the alcoholic drink is made up of Bacardi and Blue Curacao liquor. 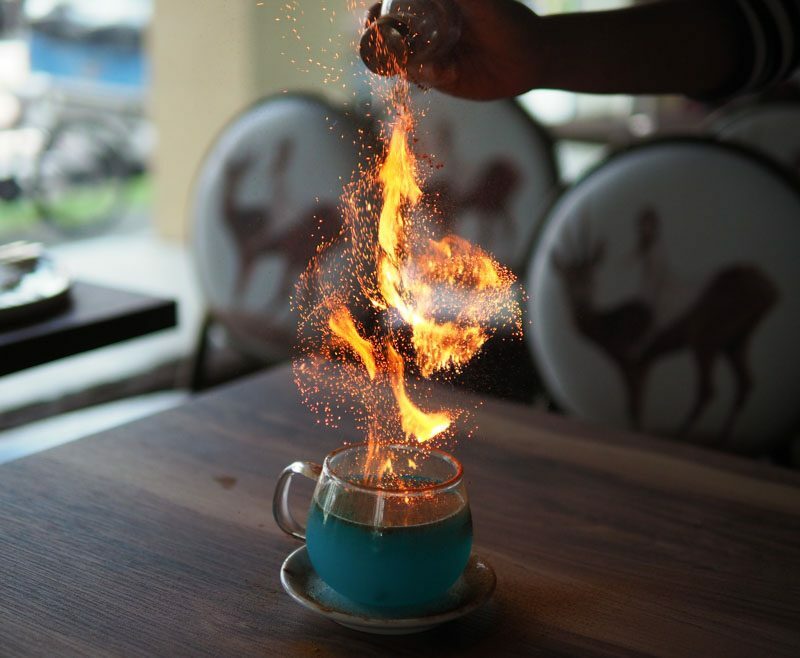 The magic happens when you ignite the drink with a blowtorch and shake in cinnamon powder, making the flames rise in mesmerizing swirls. Besides the Harry Potter references, guests will enjoy delicious Western dishes at the cafe plus artisan desserts and confections. Going to the cafe is a bit of a stretch though as it’s far from the usual tourist spots. It’s located in Serangoon Road in Singapore, a stone’s throw away from Boon Keng MRT. Art pieces, murals, graffiti, and unique installations always make a good backdrop for Instagram posts. Such art pieces are what you’ll find in Gillman Barracks. A former military camp, Gillman Barracks is now a museum that houses contemporary art exhibitions and collections across Asia. Located far from the busy tourist spots in SG, it’s the perfect place for art enthusiasts who hates crowds. Here, you can pose against colorful backdrops and unique structures. Of course, the no. 1 agenda here is appreciating art and immersing yourself in the creative energy and vibe of the place.